I got my sweet tooth from my dad. We always have room for dessert even after a heavy meal. Luckily, dad received Atlanta Crazy Crepes gift certificates from his neighbor last Christmas! 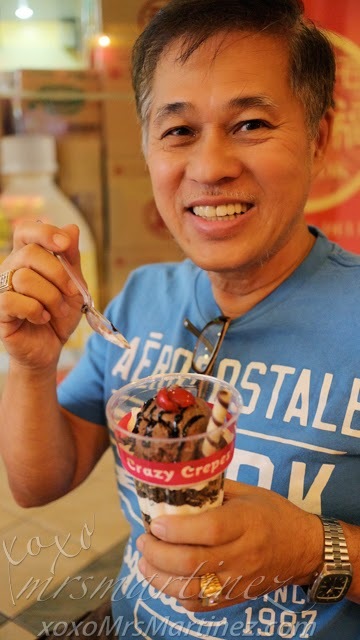 The nearest Atlanta Crazy Crepes branch is the one in V-Mall beside the chapel. It's the start of the summer season so getting complimentary ice cream is the best present ever! Parfait means "perfect" in French. It is a layering of ice cream, whipped cream and fruits in a clear, tall glass. 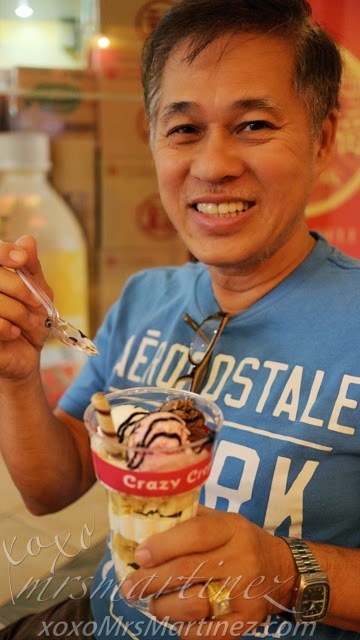 Dad scooped a spoonful of ice cream after I took his photo ; p Don't worry, I still got the cherry on top! One order is too much for me. 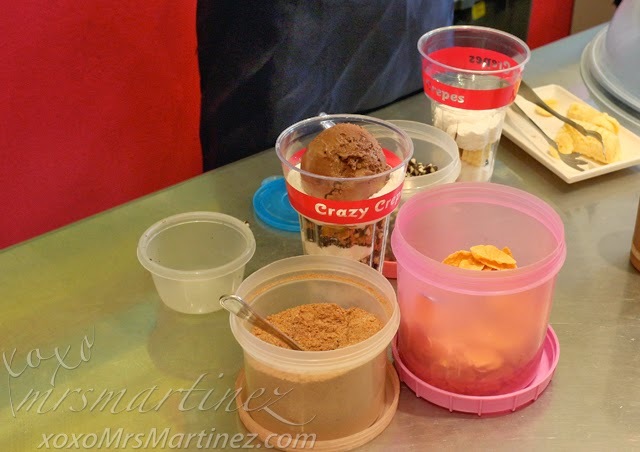 It was filled with choco peanut crumble and twin choco chips with whipped cream in between. 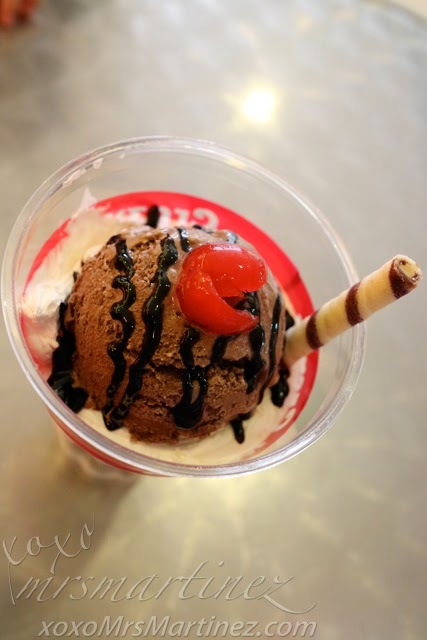 That's not all, there's wafer on the side with chocolate ice cream, choco syrup and cherry on top. A lot of calories packed in one cup! Mom and dad shared a cup of Banana Split Parfait... how sweet, right? I wish DH and I can be that lovey dovey too. DH and I both have big tummies that's why we would almost always order separately, and most often than not, we have different tastes in food. I think Crazy Crepes' Banana Split Parfait is healthier because it has one whole banana in it ; p The banana was sliced, of course! 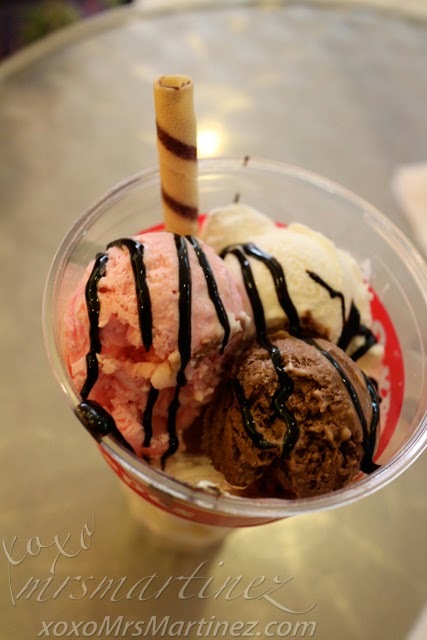 Three small scoops of chocolate, strawberry and vanilla ice cream were on top drizzled with chocolate syrup. 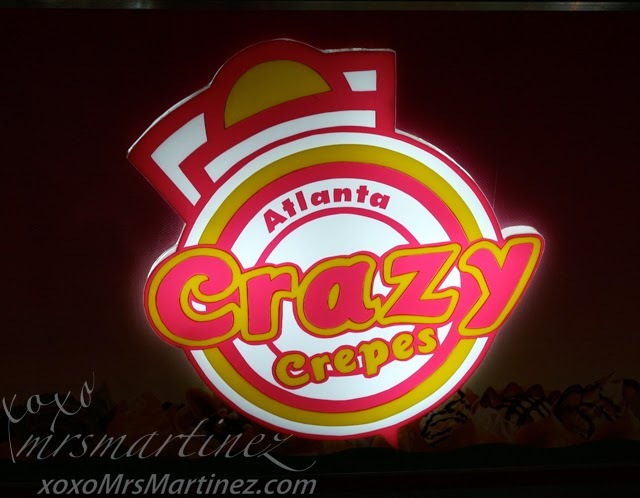 Atlanta Crazy Crepes is located at the Ground Floor, V-Mall beside the chapel 7268911.